CORE PURPOSE is an encounter among different generations of artists, researches and genres. 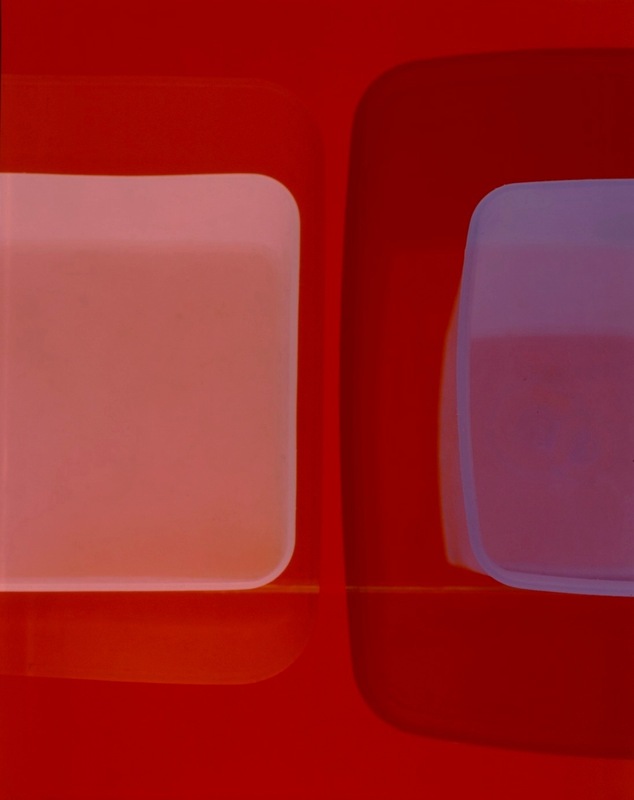 The exhibition displays different mediums, from painting, to photography, sculptures and light installations, and presents works by Richard Caldicott (b. 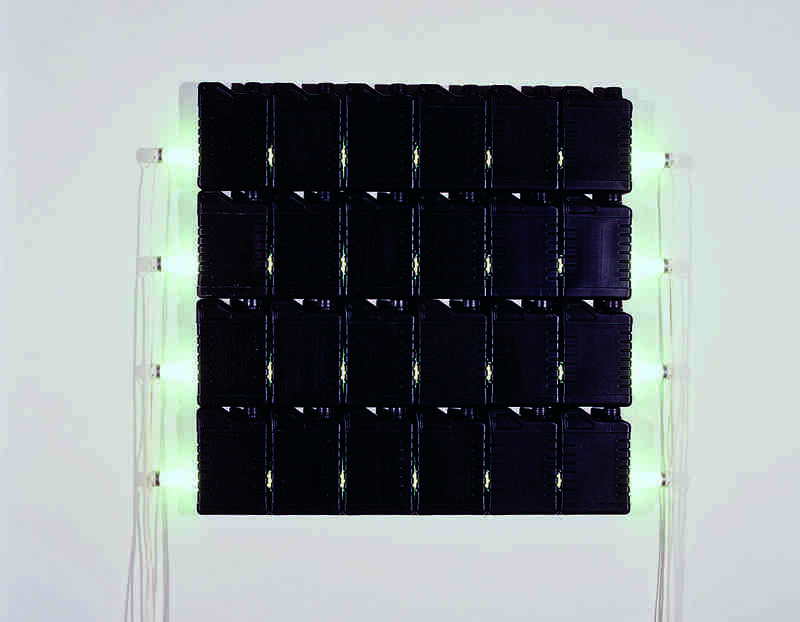 1962), Bill Culbert (b. 1935), Peter Lamb (b. 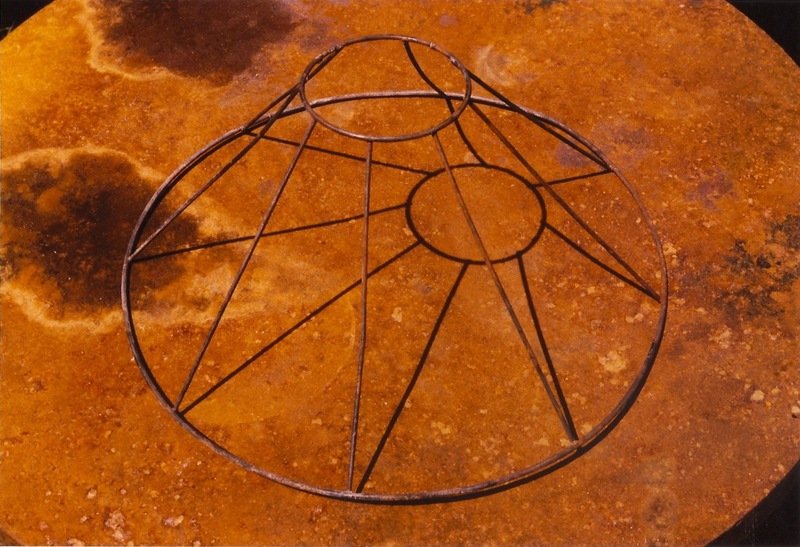 1973), Peter Lowe (b. 1938), Andrea Medjesi-Jones (b. 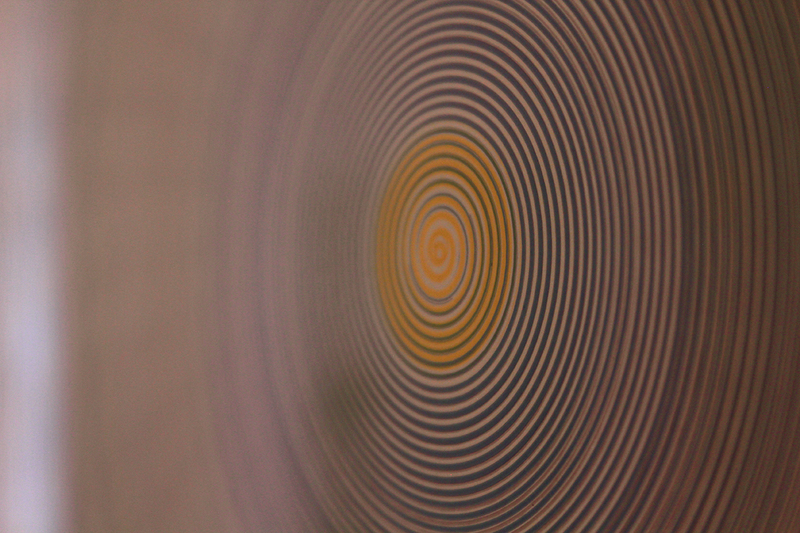 1973), Peter Sedgley (b. 1930) and Michael Stubbs (b. 1961). New Zealander Bill Culbert‘s solo exhibition Front Door Out Back has been reviewed as one of the best Pavilions of the Venice Biennale 2013. The artist has been recently interviewed about his work, and in this occasion he talks about the lightness of his ready-made installations, the surprise in discovering and changing an old and magical space as church of the Instituto Santa Maria della Pietà in Venice. “I probably like surprising myself”, he proclaims in the video interview, produced by Biennale Arte 2013. In order to represent Culbert’s interdisciplinary approach to visual arts, CORE PURPOSE displays three light installations and one colour photographic print. 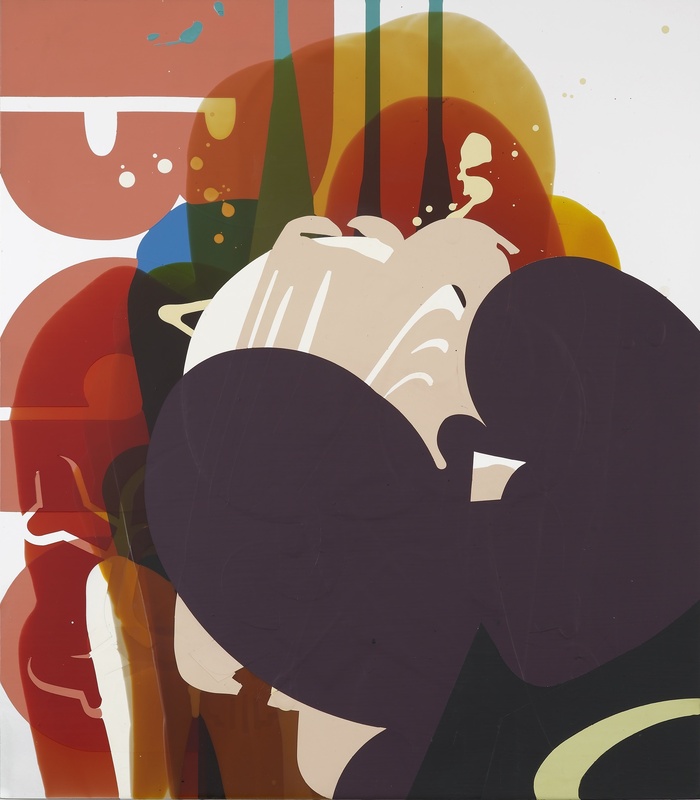 Surprising is also the work of young artists Andrea Medjesi-Jones and Peter Lamb: an explosion of colours, nuances and broken lines. Medjesi-Jones is currently part of the Exchange Project group exhibition at the APT Gallery in Depford, showing her work in the section “Obscured Exchange”. 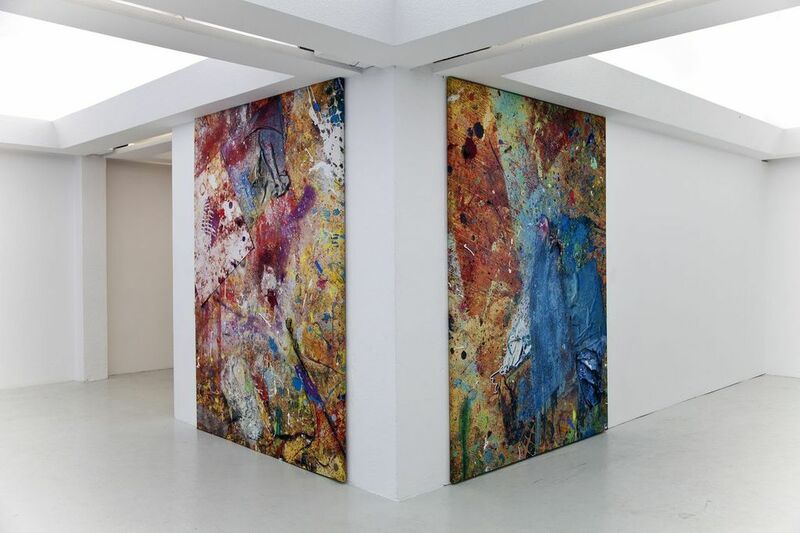 On the other side, Lamb has shown his new oversize diptych painting in the just concluded group exhibition London Utd., at the Kling and Bang Gallery in Iceland. 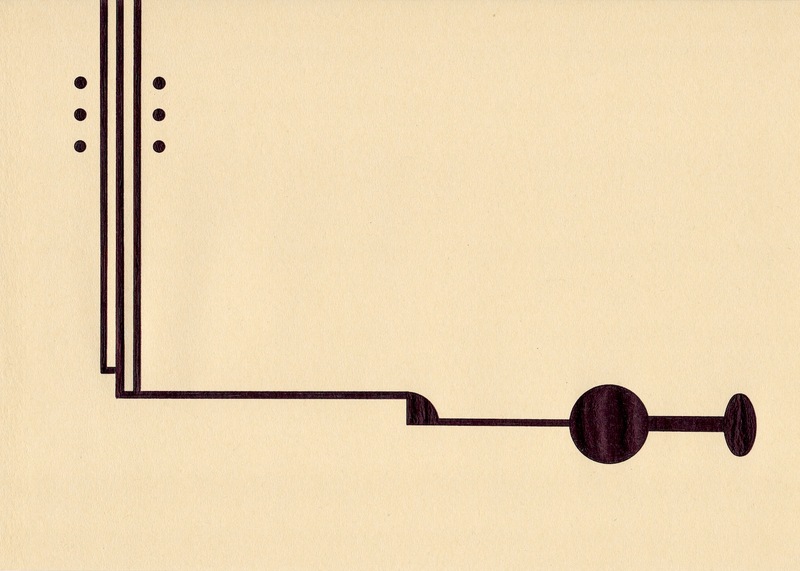 The works by Peter Lowe, Peter Sedgley and Richard Caldicott play with viewers’s perception. 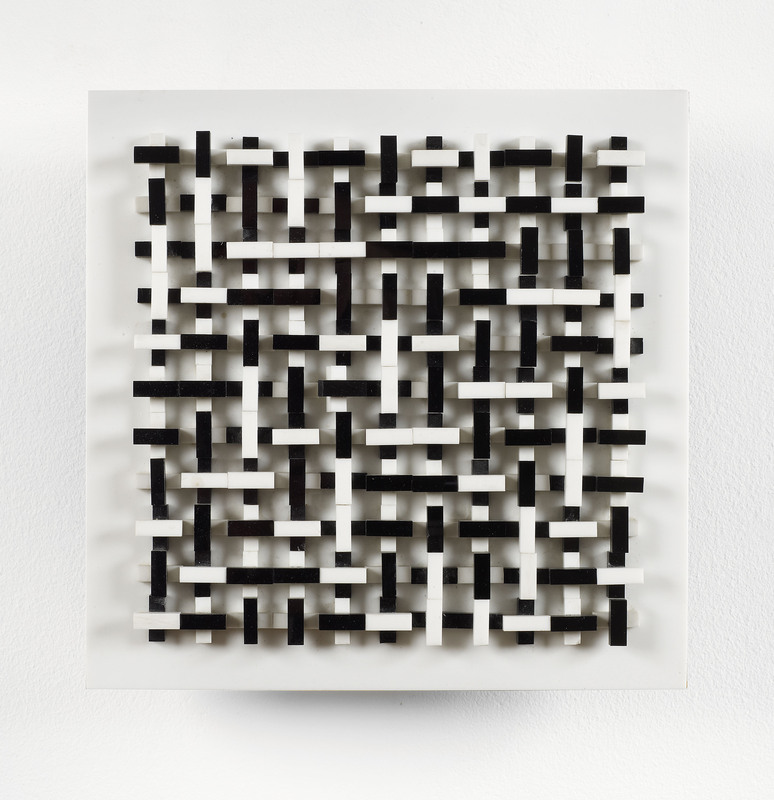 Lowe began deepening the concepts of time, space and mathematical relations in visual art after joining the British System Group in 1969; CORE PURPOSE presents two rare wood and perspex reliefs of that time, Permutation of Rows (1968) and 9 Groups of 4 Squares (1969). Sedgley is one of British best-known optical artists and one of the founder members (with Bridget Riley) of SPACE, Provision Artist Cultural Educational (London, 1968); since his first works in the mid-1960s, he has been celebrated for his vibrant paintings, tempera and installations. Vibrations (1984) is a key work in his kinetics production of the 1980s. Caldicott’s drawing series, Untitled (2012) and photograph Untitled#68 (1999), reflect the artist’s long term interest in Minimalist aesthetics. The Davis Lisboa Mini-Museum of Contemporary Art in Barcelona has recently included some of its envelope drawings (2011-2013) in his permanent collection. 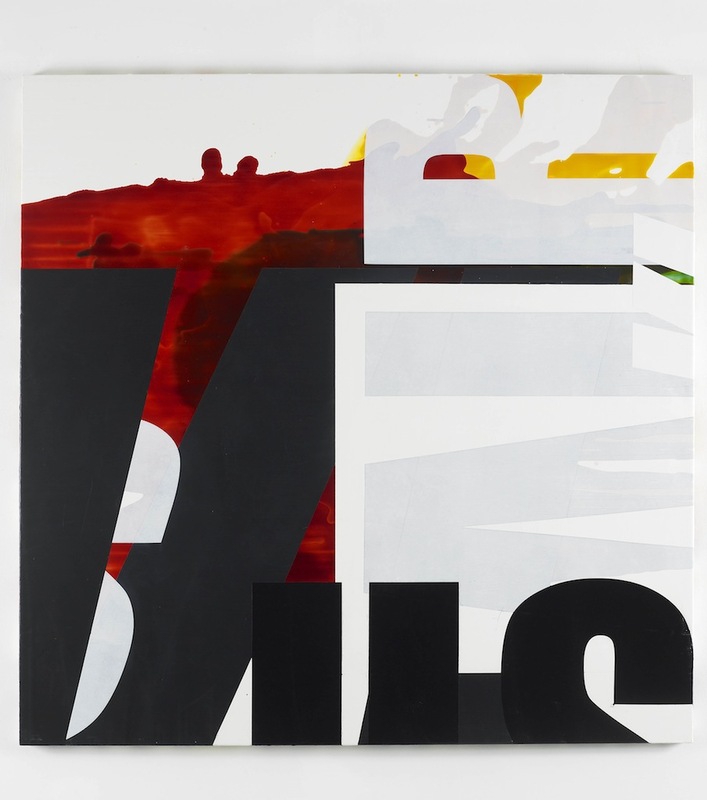 After his solo show at CAAS Gallery in London (2013), Michael Stubbs presents two recent mixed media abstract works, Repeater (2010) and Ef Ex Head #1 (2006-2012). These works are constructed by combining abstract configurations of transparent varnishes and opaque household paints, and play between material manipulation, three-dimensionality and physical space. “When I use transparent areas created with floor varnish (pointing to the painting above where we are seated), I’m pouring them like he would have done. But I’m using a non-art material, a builder’s material. This staining or transparency refers to Morris Louis’ experiments but, in a sense, mimics them in non-art materials. 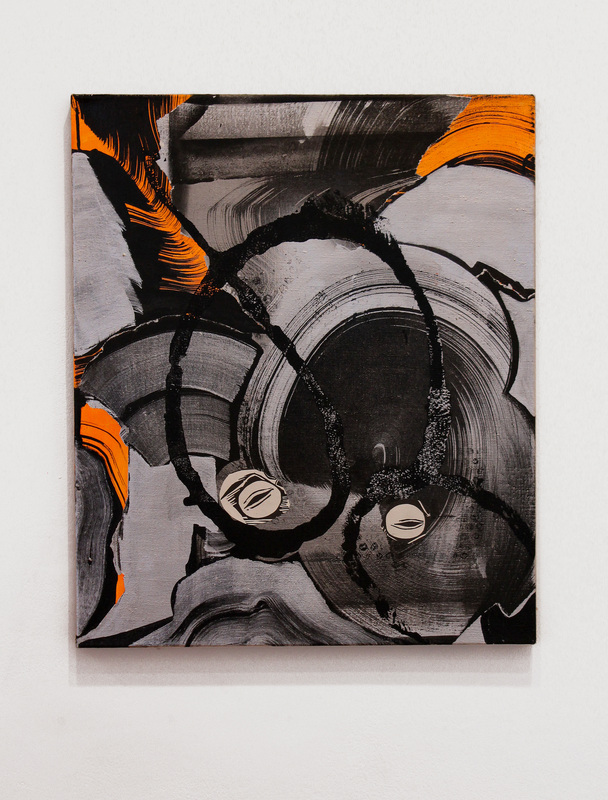 “, Stubbs discusses with the critic John Bunker, in his recent interview on Abstract Critical. 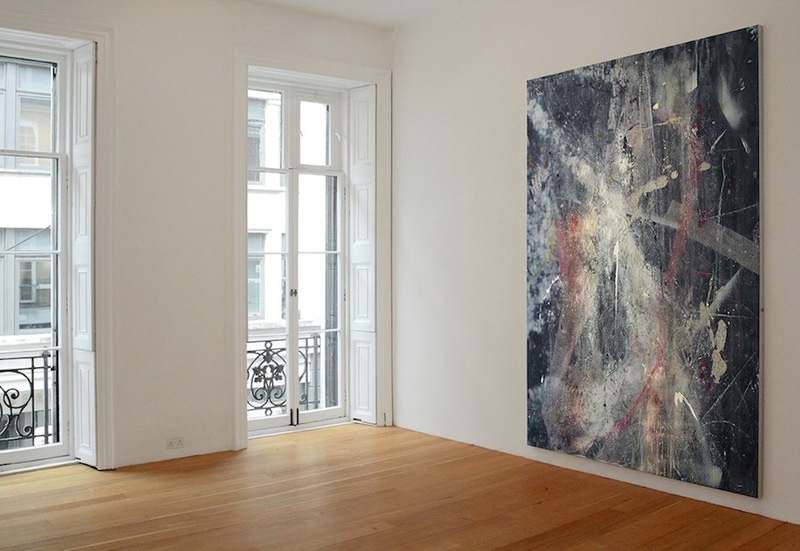 Laurent Delaye Gallery programme works on a constant dialogue between earlier figures of the avant-garde, artists born in the 1930’s, and the younger generations: in this sense, CORE PURPOSE reflects on and investigates the identity of the gallery itself. This entry was posted on 11 August 2013 by Laurent Delaye in Andrea Medjesi - Jones, Bill Culbert, Exhibitions, group exhibition, Michael Stubbs, News, Peter Lamb, Peter Lowe, Peter Sedgley, Richard Caldicott and tagged art exhibition london, Caldicott, Contemporary art, core purpose, Culbert, group show, Lamb, Laurent Delaye, Lowe, Medjesi-Jones, Savile Row, Sedgley, Stubbs.